We made this in June or July but I have been taking the summer the way it should be laying back and relaxing so no posting. Today is the first official day of Fall so here I am. Lyn found this recipe in Prevention Magazine so we tried. 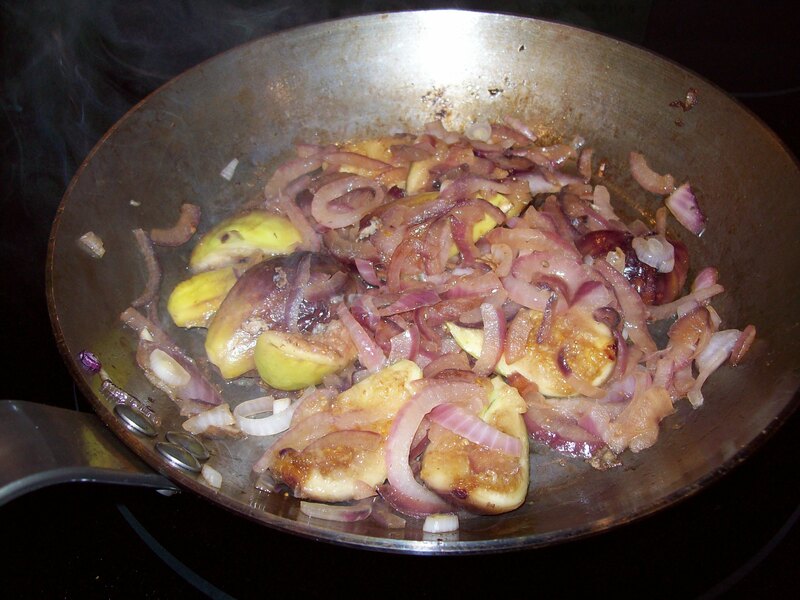 The first time I had rather large onions and the slices in my opinion were too large so the next time I sliced thinner and it worked out nicely. Also I would quarter the figs length wise my mind automatically goes the opposite. 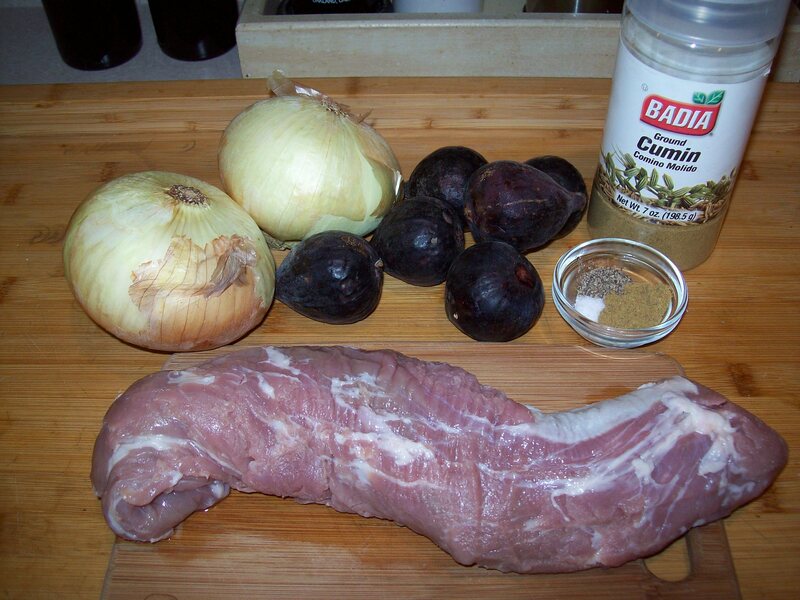 This was not only fast – good for a week night meal-but tasty. Note the first time we made I had no red onions just sweet white so we tried anyway both were good but I prefer the red. 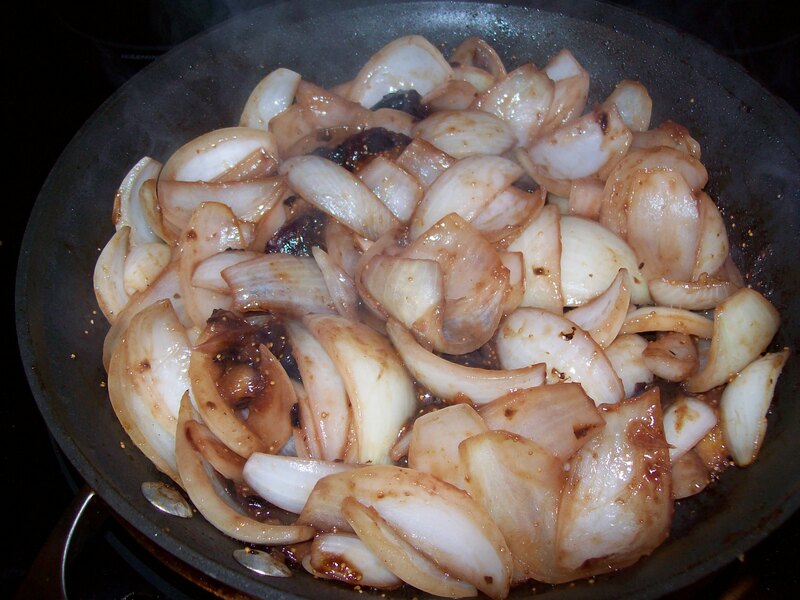 Heat fry pan (cast iron would work best) with olive oil spray over medium-high heat. 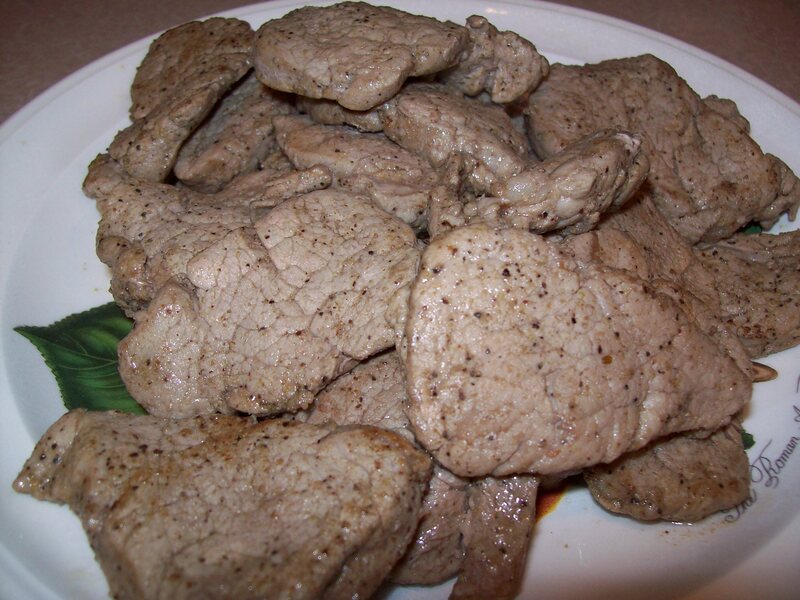 Add pork and cook, turning, until golden brown and cooked through, about 4 minutes. 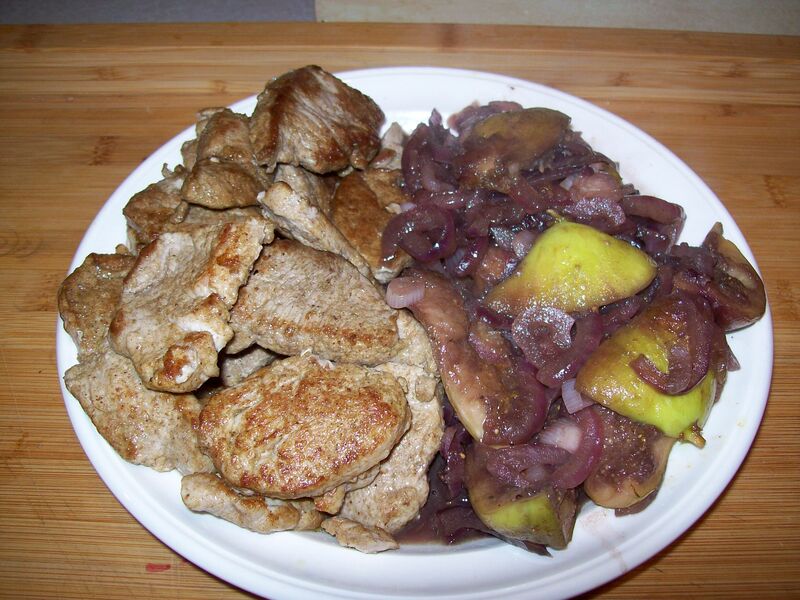 Transfer to plate, cover and keep warm. 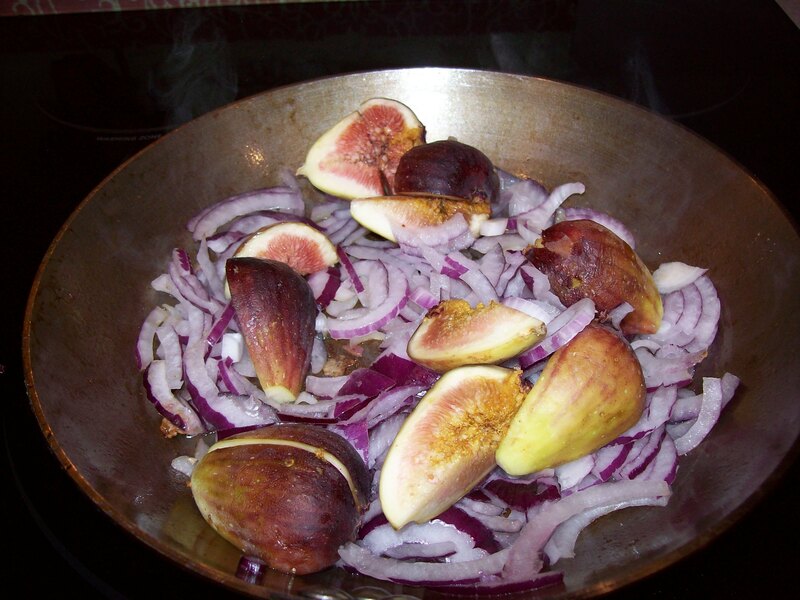 Coat skillet with olive oil spray and cook onions and figs stirring until tender, about 7 minutes. May take a little longer if you are not using a cast iron pan. 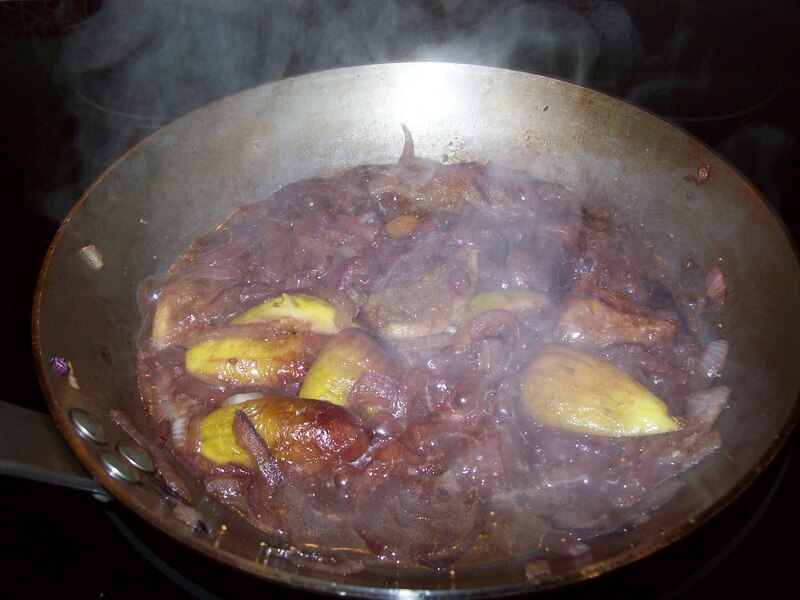 Add ½ cup dry red wine and cook until reduced to 2 Tbsp., about 2 minutes. 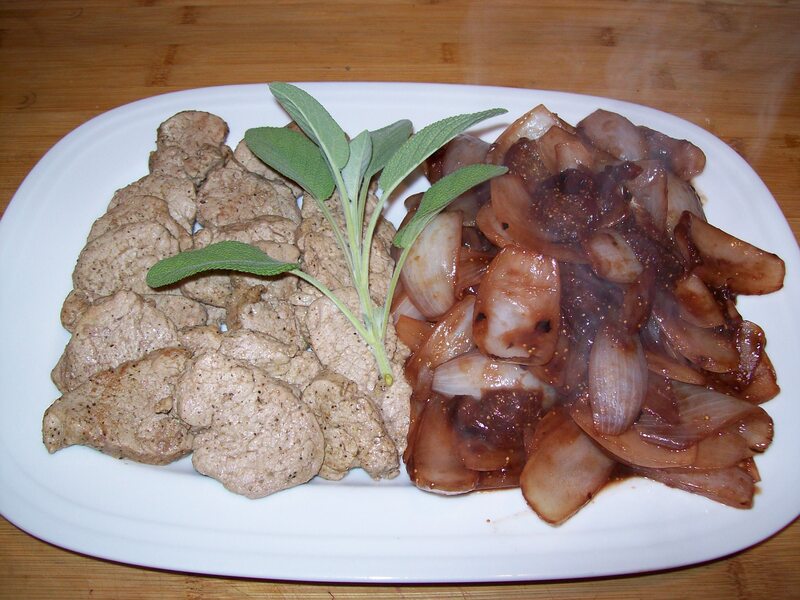 Serve alongside pork on platter. 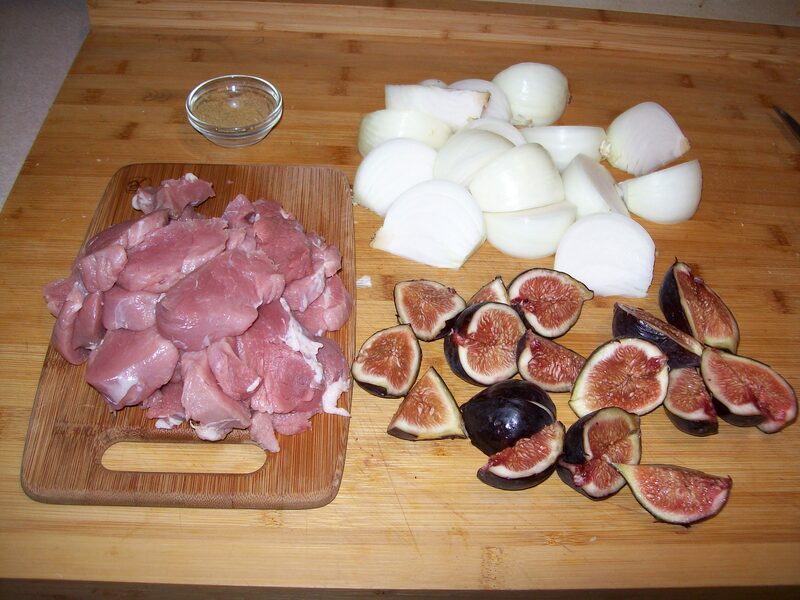 This entry was posted in Main Course, Meat, Pork and tagged Balsamic vinegar, Cook, Ficus, Figs, Olive oil, Onion, pork, Tablespoon. Bookmark the permalink.